Fofos d+!! 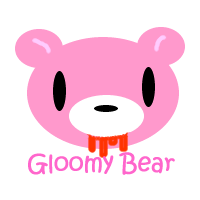 !Mt legais os gifs Gloomy Bear! !Bjs Luma!! website, i am browsing this web site dailly and obtain good data from here every day. I don't drop a leave a response, however I looked at through some responses on this page "Gifs Gloomy Bear". across like they are written by brain dead folks? :-P And, if you are writing on other social sites, I would like to follow anything new you have to post.